Discussions are taking place with schools, parents and pupils to promote our new programme supporting Young People with SEND, which will commence in September 2019. The programme, which will include Independent Living training and a Vocational Study Programme and Advanced Study Programme is attracting a lot of interest. The aim is to support 26 young people. Due to an increased demand and enrolment of learners, the Adult Learning Service is running additional maths classes this term. The 2018-19 academic year has seen an increase in English and maths enrolments. Please phone us if your interested: 0191 643 2288. The Adult Learning tutors are successfully supporting disadvantaged local residents to improve their mental health and move on in their lives. ‘Susan’ suffered from agoraphobia and mental health problems and it took a lot of courage for her to enrol on maths and English classes. Since then she has attended regularly and passed her entry level maths and English qualifications. 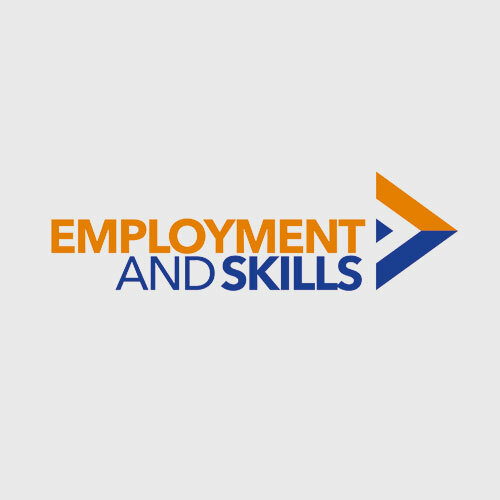 Alongside this tutors supported her to complete a qualification in Personal and Social skills which helped develop thinking through some of the personal issues she was facing. She is now working towards achieving Functional Skills level 1 in maths and English. John was one of the first participants signed up onto Wise Steps programme, over eighteen months ago. When he first met his coach, he would not look him in the eye, he would not engage properly and would not commit to a “yes / no” answer but responded with either a shrug or occasionally an “I guess”. He was regularly missing his Jobcentre Plus (JCB) signing appointments or turned up late and was unconcerned about the consequences, such as being sanctioned. John never left his house, unless to go to JCP, and really lacked any focus in terms of what he wanted to do with his life. His coach provided significant support and persevered with him, eventually establishing a routine with him. It was the start of his journey from social exclusion and he got into a routine of having to go somewhere once a week and someone to genuinely listen and take an interest in him. Gradually he became more and more comfortable engaging and slowly but surely he spoke more and contributed positively in the appointments, accepting a suggestion of counselling, and commencing voluntary work. John currently volunteers in VODA head office answering web enquiries and updating their database. His coach provides ongoing support and feedback from the VODA manager is that he is a great asset and help to their operations. For John the transition has been remarkable, taking such a huge step to try and gain valuable knowledge and improve his confidence. Work continues to look at longer term goals for John’s participation in society to grow. Why don’t you give us a call today and see where a new language could take you! 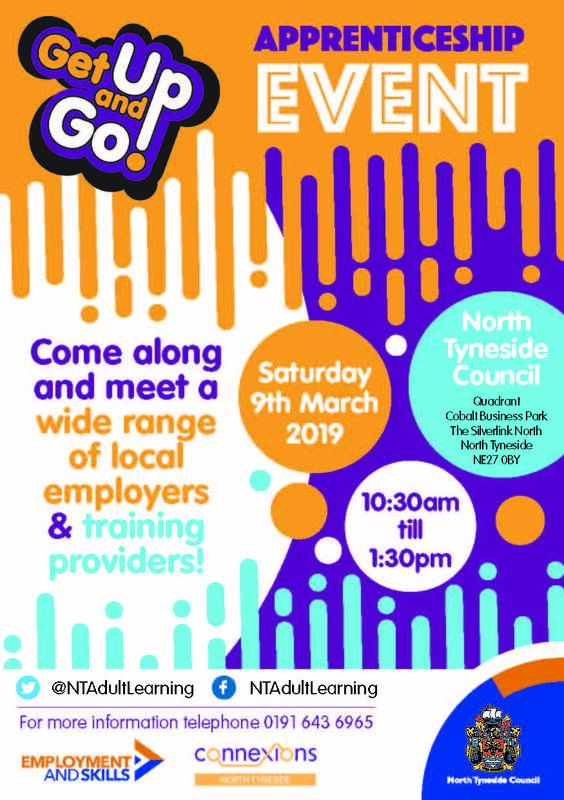 In December an event was supported by Connexions to help inform students from Monkseaton Middle School about North Tyneside Council and the range of careers which are offered by the local authority . Paul Hanson, supported by managers and staff from different departments, came into school to help students understanding of the role of the local authority as one of the largest employers in the borough and the range of careers available. Students from year 8 participated in the event and gathered information on different careers. The morning culminated in a zombie apocalypse activity where students planned how they would deal with a catastrophic event in the borough. Once again another fantastic Christmas Show was performed and delivered by our ALDD and SEND learners. This year the show was made up of a range of sketches, singing, dancing and special appearance from the Monkseaton Morris Men and the Sing Out Loud choir. There were over 150 people in attendance and a great evening was had by all. There were a great range of raffle prizes donated from local business and the majority of prizes were won on the night. A special thanks to Lou Ross and Jo Knight for their commitment in developing the learners with their performances over the weeks leading up to the show, to all the staff that supported the show by carrying out a range of tasks ensuring that everything runs smoothly on the night, a BIG THANK YOU! We would also like to thank Norma Redfearn, Paul Hanson, Jacqui Old, Angela James and Mark Barrett for supporting the show, learners really appreciated meeting with you and sharing their experiences. To date we have raised in the region of £1180 which will be distributed to the chosen charities, Marie Curie, British Heart Foundation. DVD sales are still bringing in some money so the final figure will be announced at the end of January. As part of the SEND Vocational Study Programme learners have been developing their independent living skills which includes cookery skills. Over a period of 12 weeks these learners have been learning a range of knife skills, cooking methods and exploring a range of foods. They went out shopping for ingredients and on the 11th December they planned and cooked a 3 course Christmas lunch for their family and friends with each learner being allocated a particular task or role to demonstrate on the day. This included a split between front of house (meet and greet, prepare tables etc.) and kitchen task. The standard of food preparation was very high and the timings were perfect, all food was served in time and the 22 guests were very complementary and very proud of their son and daughters efforts. The feedback from parents was very positive and they thanked us for the opportunity to meet and speak with other parents to share their experiences. Learners received a round of applause from both guests and staff and the learners were very proud of what they had achieved. NEW Distance Learning courses now available! Level 2 Certificate Introducing Caring for Children. All courses are 14 weeks long and are perfect if you are wanting to develop yourskills or if you just have an interest in these areas. To find out more or to enrol onto one of these courses, please ring the Adult Learning Service enrolment line on 0191 6432288 or e-mail Curriculum.Support@northtyneside.gov.uk.